The wait is OVER. 1930s Violin Concertos, Vol. 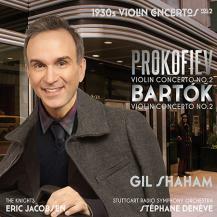 2 pairs Gil Shaham's account of Bartók’s Second Violin Concerto with the Stuttgart Radio Symphony Orchestra under Stéphane Denève, with Prokofiev’s Second Violin Concerto with Eric Jacobsen and The Knights. 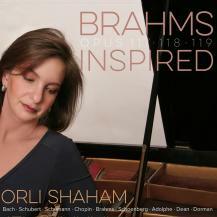 Throughout her impressive international career, the pianist Orli Shaham has displayed her unwavering passion and exceptional understanding of the music of Johannes Brahms. Admired for her interpretations of both standard and contemporary repertoire, she places Brahms’s late works for solo piano – his most intense and beautiful music – as the keystone of a collection of music history’s most amazing compositions. 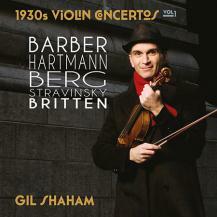 The 1930s was an incredibly rich decade for the violin concerto, thriving on what was the uncertainty of the age. 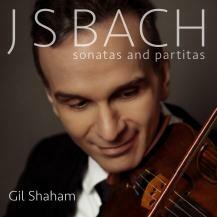 Over 30 violin concertos materialized across the decade. Stravinsky and Berg’s through to Barber’s and Britten’s concertos all commanding iconic status within the violinist’s repertory.